We hope you can join us THIS SUNDAY at the 12 o’clock mass! 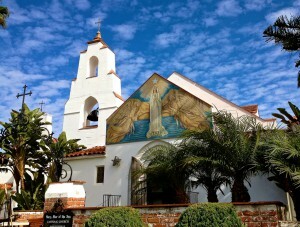 This Sunday will be the first Stella Maris Family Mass at Mary, Star of the Sea 12:00 noon Mass. Please join us for this wonderful opportunity for families young and old to participate in prayer and worship together. Also, we need students to participate in the choir for this Mass. Please email Ms. Julie Misleh jmisleh@stellamarisacademy.org if your son or daughter would like to participate in the choir for this Mass. We hope all SMA families are able to attend the first Stella Maris Family Mass!